Recent report published by BARC provides key insights to forming your analytics strategy. I joined Qlik in October 2014, simply because I’m passionate about analytics and because I wanted to be somewhere where the focus was on analytics, on innovative thinking and how we can help the people that use our solutions become winners in their organizations. So after spending the last 18 years serving customers and helping them drive their analytics strategies, I doubt it will come as a surprise to many when I express my frustration at some of the narrow commentary I see on the market. Commentary which frankly does not reflect the breadth of the discussions I see customers raising and which frankly I believe does more harm than good. Data visualization is a hot topic, of that there can be no doubt. But I’m not sure I can recount a conversation where data visualization alone was the sole answer to the problem a customer was trying to address. So judging the market just on that single dimension ignores the real challenges customer face and is a disservice to them. I believe that only an associative platform approach to visual analytics can give customers the ability to answer not just ‘what happened,’ but ‘why’ and ‘what is likely to happen.’ I believe that customers will want to ask those questions using a mix of centrally deployed guided analytics, self-service data visualization and embedded analytics. And that they will want to deploy these solutions in such a way that they that they give agility to the business user but also provide the trust and scale it requires. This way data sourcing and preparation, visualization and analytics, collaboration and reporting can be delivered all within a governed framework. A broad ecosystem and community to inspire innovation. Thankfully I’m not alone in my thinking on this, and certainly not alone in thinking that taking a narrow view of the market and justifying this based on a limited and outdated data set is of no value. 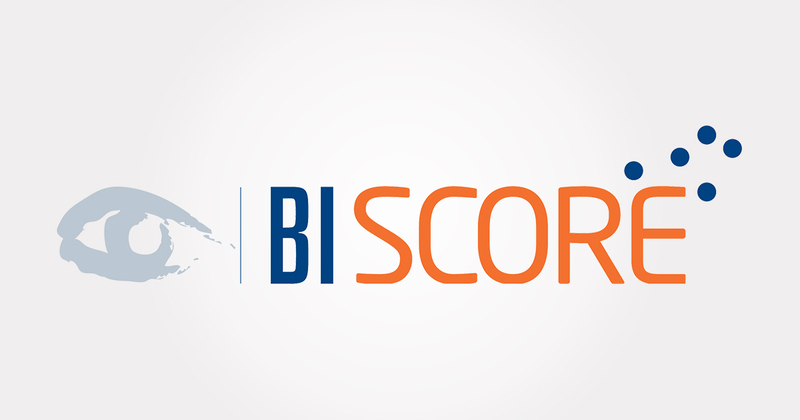 BARC (the Business Application Research Center) are a group that I’m lucky enough to have worked with throughout my career and they recently published their own view of the BI and analytics market, the “BARC Business Intelligence Score 2015”. This report is what I consider an attempt to challenge the way the market has been evaluated in the past. 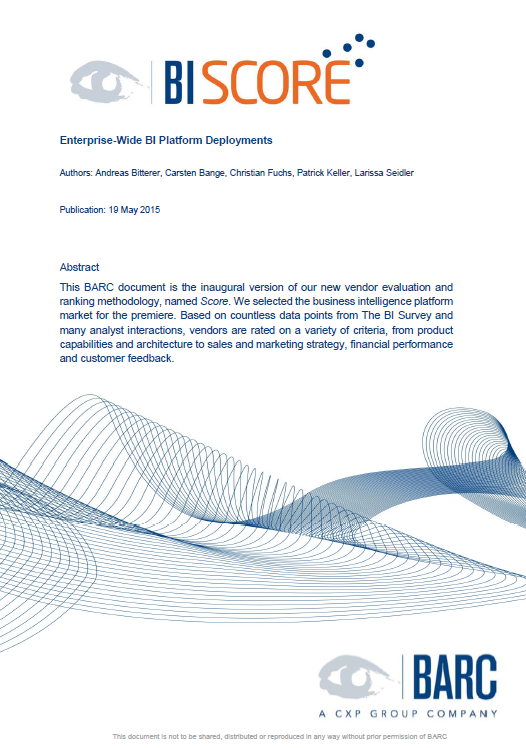 In the BARC BI Score 2015 (click here to download the report), BARC evaluated the market based on a portfolio of capabilities including reporting, dashboarding, ad-hoc queries, analysis, data mining, architecture, and product satisfaction. Other factors considered included market execution on product, sales and marketing strategy, organizational strength, financials, geographical coverage, vertical solutions, ecosystem, and customer support. The result, while I don’t agree with everything, is a very balanced view of the market where those vendors that do the best overall offer the broadest ability to address a range of customer needs. And by equal measure, those that offer a narrow tool approach do less well. Needless to say Qlik's trendsetter ranking is the highest achieved by any vendor and Qlik is the only next generation visual analytics provider included in this category. While this is great news, for me personally the most important thing is that this report represents a best-practice approach to defining an analytics strategy.